IPOPI has published a manifesto entitled “Rare disease priorities in the European Parliament: 2019-2024: the voice of PID patients” on the basis of the discussions held during the 12th IPOPI EU PID Forum. The document calls for the prioritisation of care for patients with PIDs and to promote opportunities for healthcare professionals and researchers during the European Parliament’s next legislature. While awareness of PID care has significantly improved in recent years, a significant amount of work remains to be done. The EU needs to prioritise the delivery of lifesaving interventions across the region. 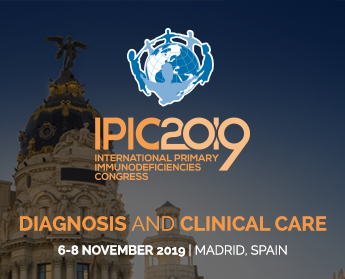 This is especially true in the case of newborn screening for rare diseases and the promotion of equal and continuous access to immunoglobulin replacement therapies (IGs) and other therapies such haematopoietic stem cell transplantation or gene therapy for PID patients. Johan Prevot, IPOPI’s Executive Director, stated that we should “not look at what the EU has achieved on rare diseases in the last 15 years as an accomplished job well done but as a solid foundation for further much needed EU actions on this topic”. It is with this in mind that IPOPI is committed to ensure the voice of PID patients continues to be taken into account in relevant upcoming EU health policies and initiatives.